Version 2.2.5 2.2.6 is now available for iOS in the App Store! Android users will see the update available very soon on the Play Store! 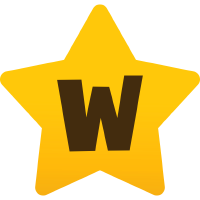 The WallaBee team has been working diligently to make your playing experience better with every update. If there is a feature you would like to see, or a pesky bug that we haven’t addressed, we would love to hear from you. Remember to email support with any concerns. NEW BRANDING! 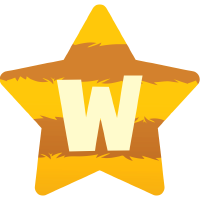 We have updated the WallaBee logo and various icons within the game. You’ll find all of our beautiful Set Icons updated to a wonderful flat style, along with some icon touchups on your profile page. You’ll also see much more of Benson! What’s not to love there! Collectibles have been added as a new collection type. Jump further down in the blog to read more. Unique Items have been split into various “themed” subsets. Sets are now broken up by generation. Items can now be purchased with “Buy It Now” option from the market without a player listing. Profile bio doesn’t disappear when viewing from settings page (and no changes are made). Send Message button updated for Return key (line break). “Forever scroll” through the Store. Honeycomb balance shows in Market. Unable to send blank messages. We’re taking a new approach to items that previously lived on your profile page (Branded, Wallagraphic, and Uniques)! You’ll now find a “Collectibles” section on your profile tab that holds all items in WallaBee that don’t fit into a WB-released set. 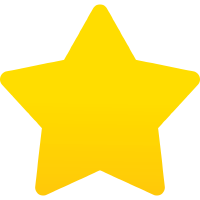 Similar to how all WallaBee Sets have a circular icon, all Collectibles will have a star-shaped icon. Collectibles will also only show you items and subsets that you have collected, instead of displaying missing ‘gaps’ in your collection. This means that all Collectibles are 100% optional to collect, without the dreaded “x/y” insinuating you have to collect them. Here’s a quick breakdown of the various new categories you’ll find within Collectibles. Previously known as WallaBee Uniques, these items are obtained through normal gameplay (foraging, mixing, purchasing in store). Examples of these are WallaBy, Super Burger, and Wand Of Transformation. An extension of the above, these items are categorized for your convenience by their theme. Examples of these are Grab Bags, Mixers, and Branded Items. This set no longer has a x/y view. Not interested in collecting these? No worries! 100% Player or Staff distributed items. Can be commissioned by players when available. Examples include Saint Nicholas, Yorkshire Rose, and Jack Frost. Just like the above, but themed into smaller player-owned (or staff-owned) subsets. 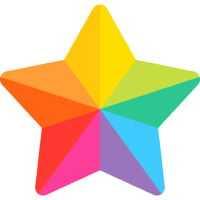 All Themed Unique subsets will contain a rainbow border around the edge of the star, with a customized icon within. Examples include BAU items, Texas Music Legends, and Fantastic Creatures. One issue that newer players have when creating an account is the sheer amount of items there are to collect. The Sets page can be really intimidating with over 170 sets listed. So in order to help our organizing efforts, improve app performance, and ease newer players into collecting in smaller chunks… we’ve split the long list of sets into “bite-sized” bits. With this update, each generation contains 50 sets. We know this will take some getting used to for our current players, but we are sure the transition will be quick to learn! Our website (and ItemBrowser) also reflects this update to help keep consistency. If the App Store doesn’t show an update for you, please use the links above. If messaging is not showing correctly through your profile or another player’s profile, browsing cache may need to be cleared.